Soups, Stews, and fresh baked breads are some of our favorite winter time recipes. Familiar classics and some new favorites are on our list of favorite winter time warmers. Check out our soup and bread categories for even more delicious recipes to get you through the tough winter months. Happy eating friends, we hope your winter is warm, cozy, and delicious! I love chili! I love it plain, on a baked potato, on a carrot dog, on some fries with some cheese, on latkes at Hanukkah. I love it summer, fall winter, or spring. 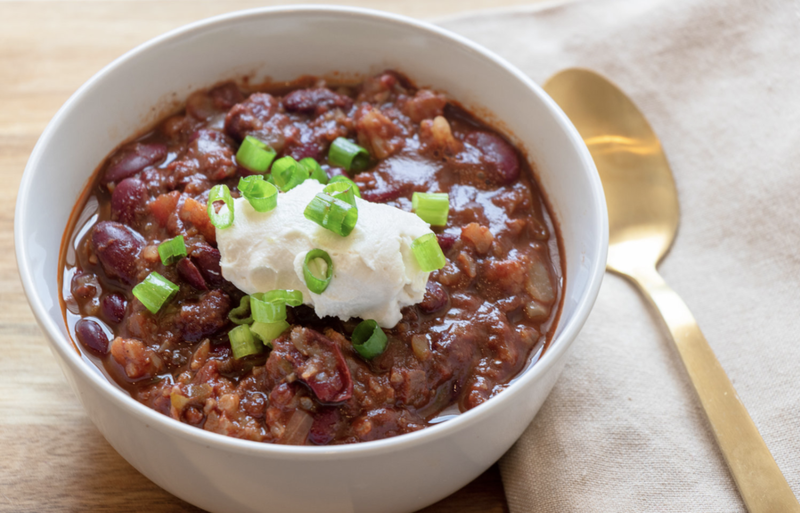 This chili is hands down my favorite recipe. It’s simple, and super easy to make. Freeze any left overs for a quick weeknight dinner in a pinch. I often make meatballs with thawed Beyond Meat Burgers. They work very well as a meat substitute in all kinds of recipes other than just using them as burgers. Once thawed, they can be used just as you would ground meat. This particular recipe is sweet, tangy, and savory. The sauce screams holidays, and would make a perfect alternative to a traditional holiday meal. 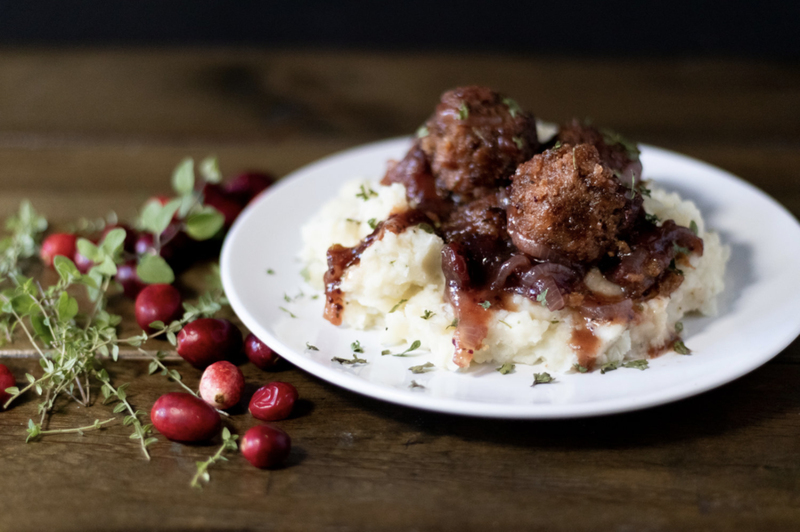 The cranberries, onion, and savory spices make such a beautiful sauce for the meatballs, and wonderful topping for the mashed potatoes. You can just as easily use a bag of frozen plant based meatballs, but I really encourage you to try a batch using the Beyond Burgers! This recipe was adapted from a Cuisine Magazine recipe I got years ago. It is always a crowd pleaser, and tastes like you spent hours making it. In reality, its actually fairly quick! The original recipe used chicken and bacon. The liquid smoke in this recipe replaces the bacon helps give the dish that extra layer of smoke, while using either tofu or seitan works great as a protein substitute. It is common to also serve Marengo with eggs or rice. You could easy substitute the polenta for tofu scramble or rice. The only thing better than vegan challah, may be stuffed vegan challah! And the only thing better than a meatball sub, may be a whole loaf of soft, delicious bread, stuffed with cheesy, saucy, meatballs. But don't take my word for it! Bake up a loaf and taste for yourself! TI will find any way I can to incorporate sauerkraut into a meal. So when I ran across a non vegan recipe for a dish similar to this, I knew it was something I would love. The lentil “meatballs” are tasty and filling, and the stew is warm and comforting. The zesty kraut and tomatoes, coupled with the cream cheese and milk are a perfect combination. This meal is delicious on its own and even better with some oven crisped potatoes. One thing I am certain of is this stewed sauerkraut and lentil meatball dish is definitely going into my regular winter dinner rotation!